Friendship can be confusing. 20-year-old Izzy Desmond likes killing time with Luke, an endearingly eccentric slacker, and feels herself drifting apart from Mandy, the Beverly Hills party girl she befriended freshman year. 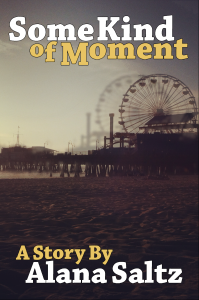 When the three mismatched friends spend a day together at the Santa Monica Pier, Izzy tries to figure out what Luke and Mandy really mean to her, and whether the connections she has with them can last. Available in PDF (click to read, control click to download), ePub (for iBooks), or MOBI (for Kindle).